Includes matching pop-up drain and all mounting hardware. Classic style. Drip-free washerless cartridge system. Aesthetic colonial elegance. Round curves. Victorian style spout. 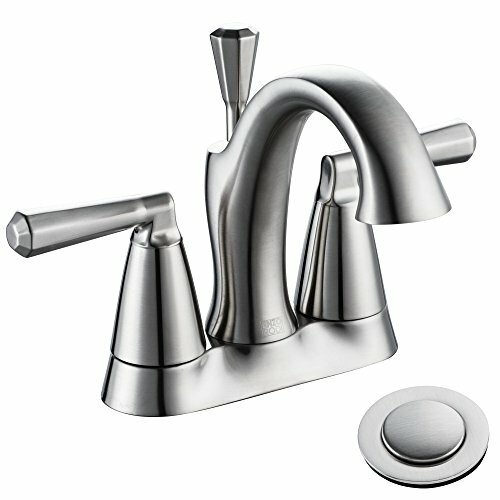 Faucet with deck mount setup. 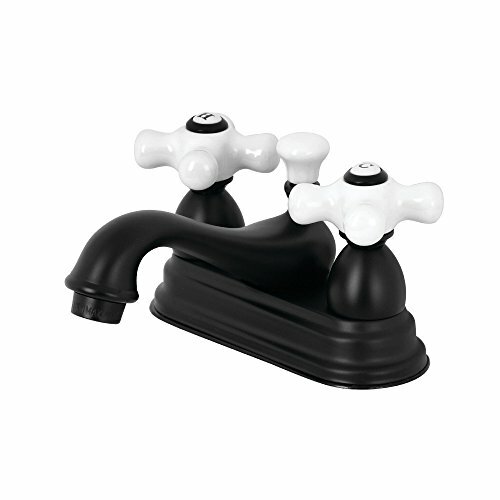 Handles allow for easy management of water volume and temperature. 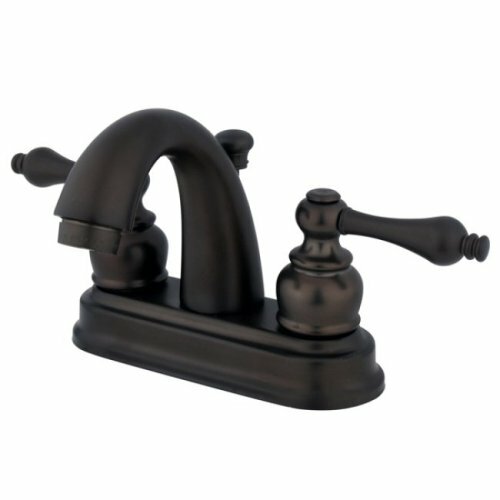 Faucet operates with ceramic disc valve for droplet-free functionality. Water measured max 1.2 GPM/4.5 LPM flow rate at 60 PSI.. Integrated removable aerator. Standard US plumbing connections used. Finish resist scratches, corrosion and tarnishing. Made from solid brass. Made in Taiwan. Centerset: 4 in.. Spout reach: 4.75 in.. Spout: 6 in. H. Spout clearance: 3.75 in.. Assembly and Warranty Instructions. 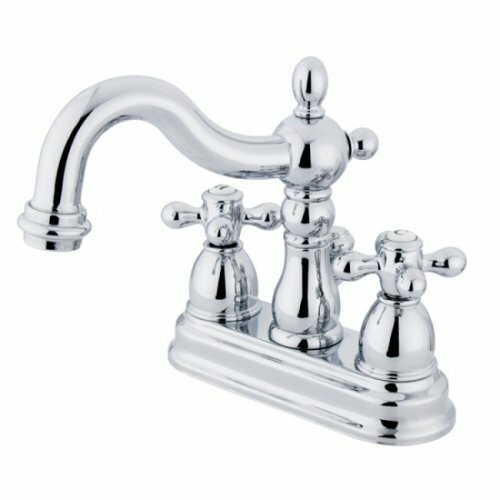 Illuminate your bathroom with the 4-inch center set lavatory faucet from the heritage Collection and marvel at the sleek classical nature of early traditional elegance. 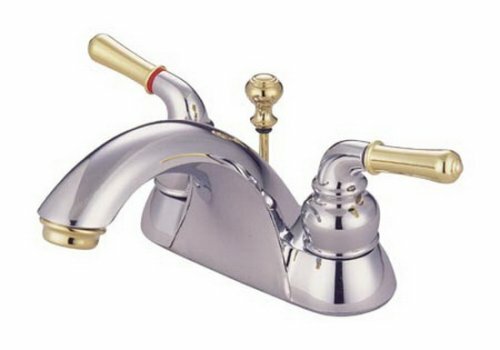 The faucet is constructed from solid brass and uses a drip-free washerless cartridge, providing a reliable and durable component for your daily bathroom tasks. 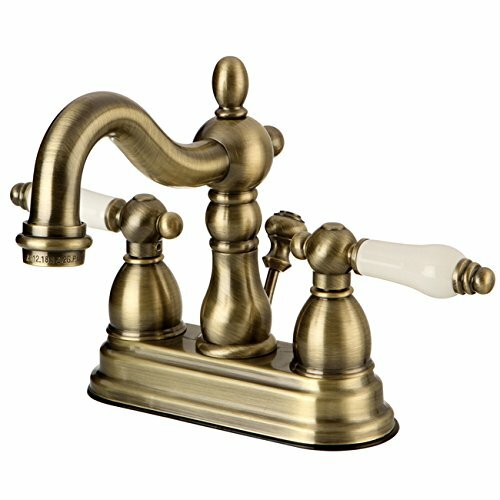 The faucet is finished in an alluring satin brass finish, that accentuates the trim bringing beauty in its overall appearance. Explore the world of vintage decor with the Restoration 4in. 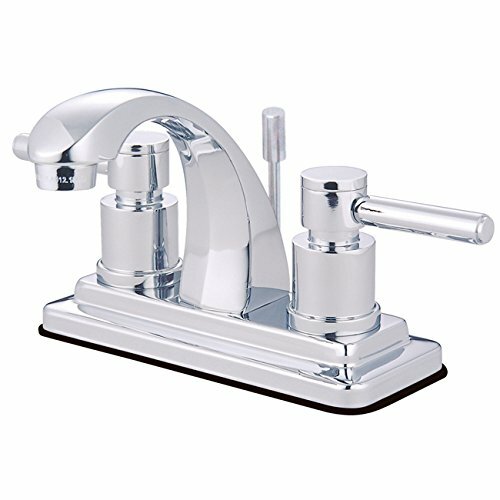 Centerset Lavatory Faucet with Brass Pop-Up Drain. This faucet features a premier finish that is surely to provide an elegant accent in your home bathroom and it's solid brass construction ensures that the faucet can handle the rigors of daily use. 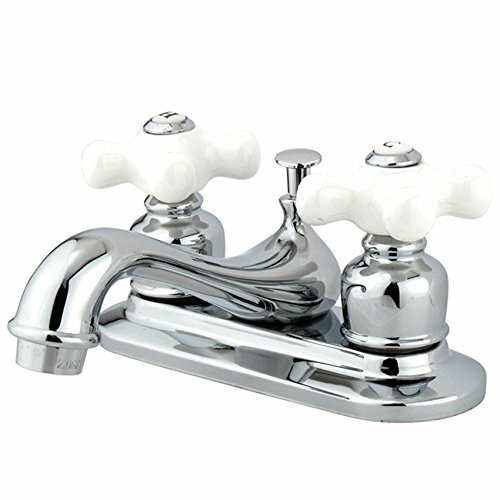 The faucet also features use of ceramic disc cartridges for drip-free performance. 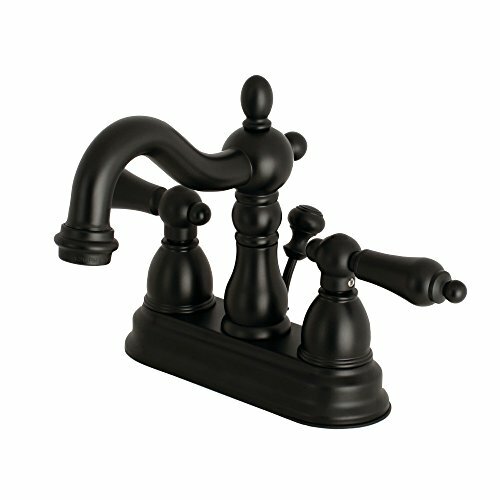 Pair this faucet with the other matching accessories from the Restoration Collection. Includes matching brass pop-up drain. Contemporary style. Drip-free ceramic cartridge system. Water measured max 1.2 GPM/4.5 LPM at 60 PSI. 4 in. spout reach. 5 in. spout height. 3.75 in. spout clearance. Warranty: 10 years limited. Made from brass. Made in Taiwan.